The D5 pump motor is a powerful pump engine that has to be completed with a suitable housing. 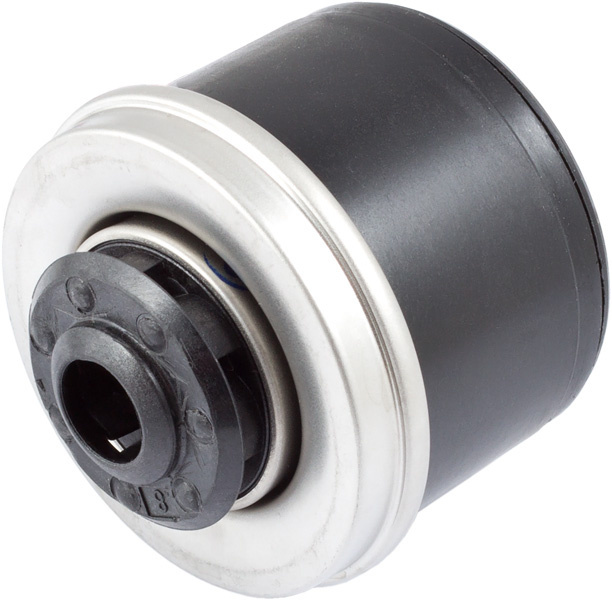 The electronically commutated spherical motor features extremely smooth operation and a long life. A PWM signal can be used to control pump speed, alternatively the pump speed can be controlled by supply voltage. Additionally, the pump generates a speed signal for monitoring. 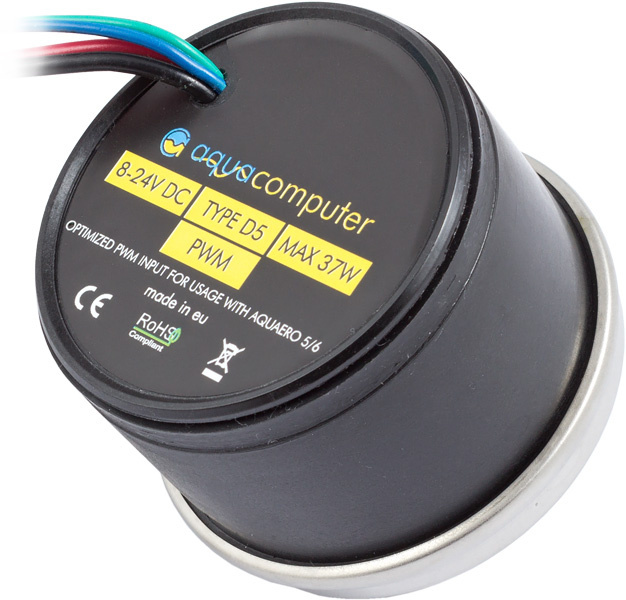 Important: The Aqua Computer D5 pump has an optimized PWM input and can be used with any Intel PWM standard compatible fan controller. This pump can be used with aquaero 5/6 PWM fan outputs without any heat dissipiation at the aquaero. All other currently available (as of January 2015) D5 pumps with PWM input use different hardware that will not work correctly with the PWM outputs of aquaero 5/6 devices. This pump is compatible with nearly any PWM fan controller on the market. A suitable housing is required for operation, not included in delivery. The pump electronics are not water proof and must not get in contact with coolant, no submerged operation! This product was added to our catalogue on Tuesday, 27. January 2015.